Luke Sikma was close to a double-double as he helped Alba stop Bonn’s comeback led by Josh Mayo. 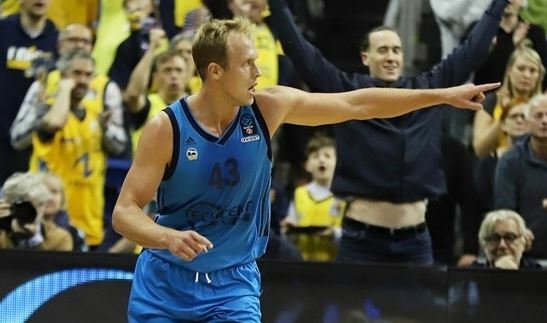 Alba Berlin gambled away a 20-point lead but still managed to come out on top against Telekom Baskets Bonn with a 93-81 road win on Day 20 of German League. Luke Sikma led the way with 23 points and eight rebounds while Martin Hermannsson followed with 16 and Niels Giffey with 13 points. For Bonn, Josh Mayo nailed 29 points (6-6 triples) while Martin Breunig added ten points. Alba improved to a 13-4 record while Bonn stayed at 8-10. Bayern kept the perfect record at the top with 19 wins.